The Raspberry Pi is probably the most successful British computing product in a decade, but it's also one of the most misunderstood. Too many people think of the Pi as just a cheap desktop, but by the time you've bought a monitor, keyboard, mouse and SD card, you'll have spent almost as much as you would buying a cheap laptop - and it's a whole lot less powerful. 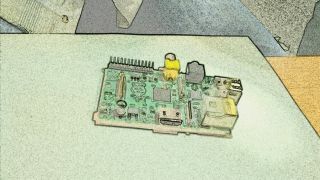 The real innovation of the Pi, then, isn't its cost, but its form factor. It's small, it can be run off a few batteries (or solar cells), and has GPIOs (General Purpose Input and Output pins) exposed. This trio of features is almost unprecedented in computing, and before the Pi, it had never been done at this price point. Because it's not just a new device, but a new type of device, a lot of people struggle to understand how to use it, though. This was a particular problem when the Raspberry Pi first came out: there were few tutorials explaining how to use it, and if you wanted to use the GPIO you had to build any add-ons for yourself. Many of these haven't been developed by large companies, but by hobbyists who saw a need and filled it. It's been great to see just how quickly new and innovative devices have come on to the market. Here, we're going to look at three of our favourite add-ons, so if you've got a Raspberry Pi acting as a paperweight, blow off the dust and put it to a more productive use; if your Pi project is already complete, well, you know it needs just one more feature don't you? When the folks at Ciseco mulled over the problem of underused Raspberry Pis, they came up with a simple solution: stick a shedload of LEDs on a board and create a simple way for people to turn them on and off. Why? That's up to the user's imagination, but it made the Pi stand out from a regular PC and forced people to think about its particular niche. From this simple idea, the Pi Lite was born. It contains 126 red LEDs (and there's a white LED version coming soon) on a board that plugs into the GPIO pins on the Pi, and then sits neatly over the top of the main board so the unit doesn't take up any more space than a naked Pi. It's not quite a plug and play add-on, and there's a little configuration needed to enable the board to use the serial port, but it's not too complex as long as you're using the Raspbian OS, and it's well documented on Ciseco's openmicros.org website. It should take no more than 10 minutes, though you will need a network connection to install some software which could make it a little tricky on a model A. With all that done, you can control your Pi Lite over the serial port. and you will have an interface to the LEDs. Anything you type will scroll across in glorious red light. This is pretty cool by itself, but it's only the beginnings of what the Pi Lite can do. As well as text, you can also send commands to the unit. These are anything preceded by three dollar signs. For example: $ALL,ON will turn all the pixels on the Pi Lite. There are additional modes to display vertical and horizontal graphs, and to manipulate individual pixels.